Our search to identify mystery Objector 1301 - who is lobbying for subsidies to knock down Southwark’s council estates at next week’s CIL public inquiry - has brought some clarity but also some more mystery with it. Having been pointed towards Southwark Council’s table of responses to CIL objector representations, we noted that the Council’s response to Objector 1301’s objection makes it fairly clear who the objector is, but it also raises some worrying questions about the Aylesbury redevelopment and the Council’s plan for the future of some of its housing estates in general. 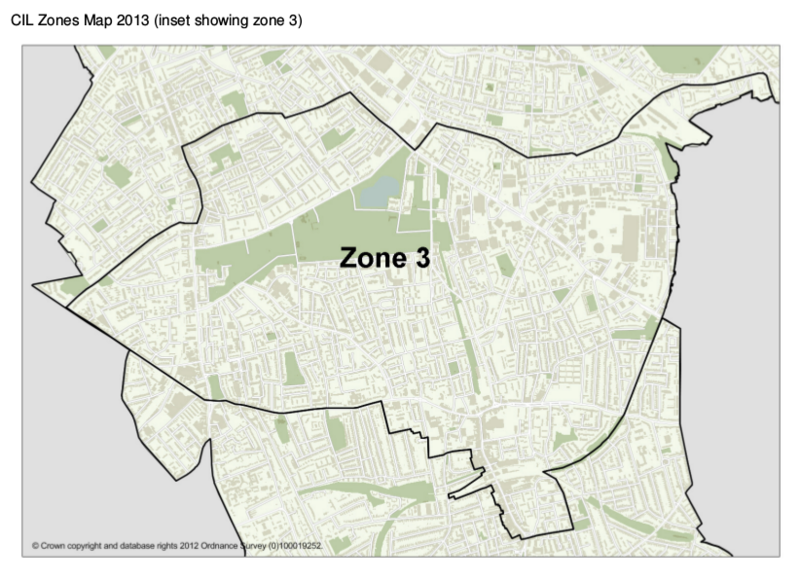 This estate renewal zone is shown as zone 3 in the map above. 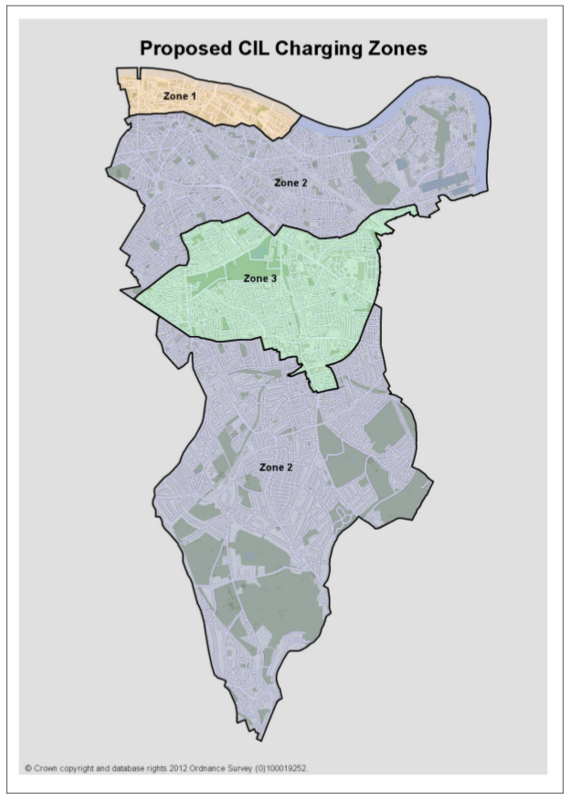 You can see from the map on the left that the Council’s planners have split the borough into 3 zones for the puroposes of its CIL charging schedule. Zone 1 (bankside) will charge developers £400 per sqm for new residential buildings, zone 2 (the rest of the borough) will charge £200 per sqm, and developers in zone 3 - the ‘low value area’ where ‘the majority of housing estate identified for renewal are located’ - will be charged just £50 per sqm. Southwark’s new estate renewal zone reaches right up to East Street, extends down to include most of Peckham and stretches from Rotherhithe in the East across to include most of the Brandon estate in the west. 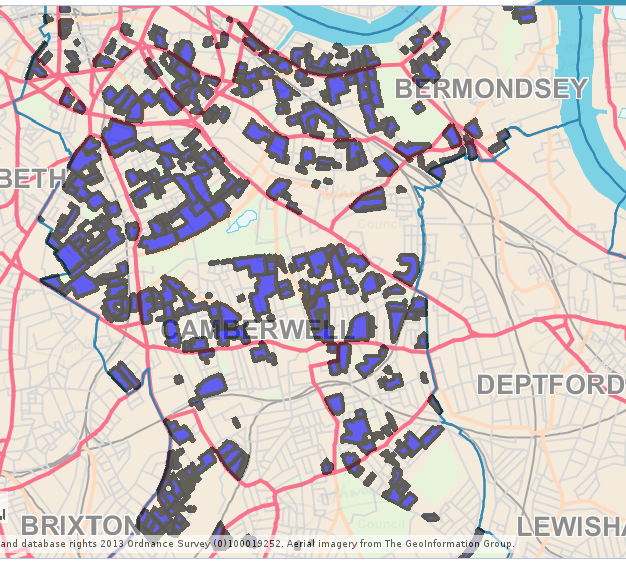 The map on the right illustrates that a significant proportion of the Council’s housing stock is within the boundary of zone 3 and much of this comprises estates that haven’t yet been brought up to Decent Homes standard. No reference can be found in any other policy documents relating to this estate renewal zone. So is this a precursory indication of what could be found in the forthcoming replacement of the borough’s Core Strategy? (which is as usual currently being drafted behind closed doors), or is it more an insight into Southwark’s contradictory outwardly oppositional but inwardly complicit stance towards controversial government and mayoral housing policy? In any case we would be interested to know if any council tenants or leaseholders in zone 3 have been notified that their estates have been “identified for estate renewal”.